Here are solutions to both of the questions set. I didn’t see the point of repeating my comments so read both set to get a full picture of what’s going on. 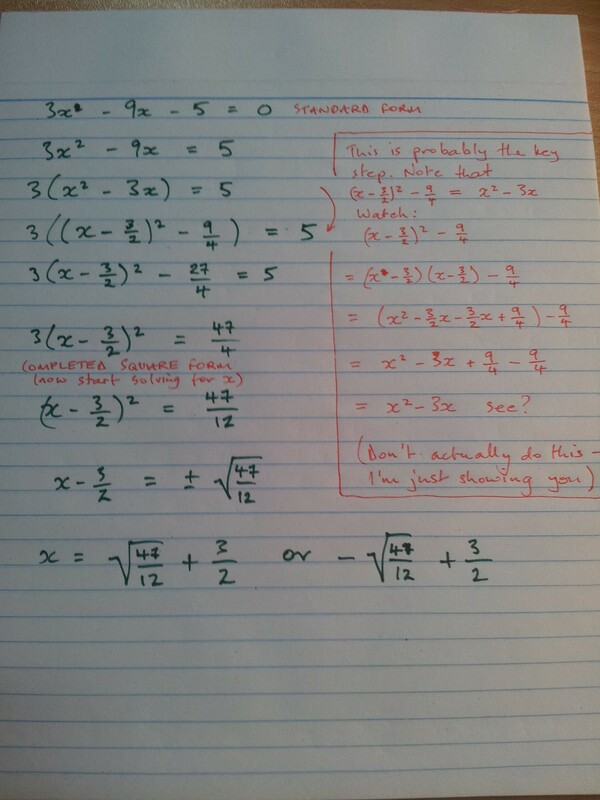 What you’re doing here is solving a quadratic in which the coefficient of x^2 is not zero by completing the square. I checked with Mr S and he is happy for you to use the “plus or minus” sign in your solutions, so need to do the last line. 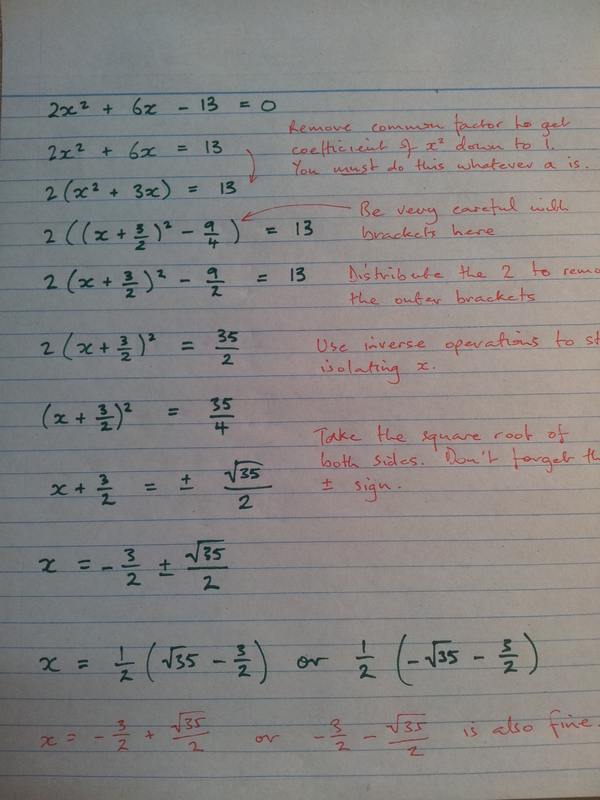 Of course, if you are asked to sketch the quadratic, or state the value of one of the zeroes, then you will need to split out the plus or minus into two separate solutions as I have done.